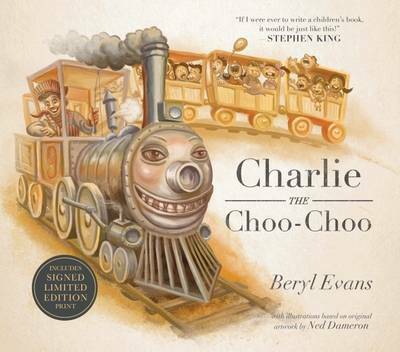 A beautiful limited edition slipcase of 'Charlie the Choo-Choo', a children's book written by the bestselling author Stephen King as 'Beryl Evans'. Includes a numbered and signed print by 'Beryl Evans'. 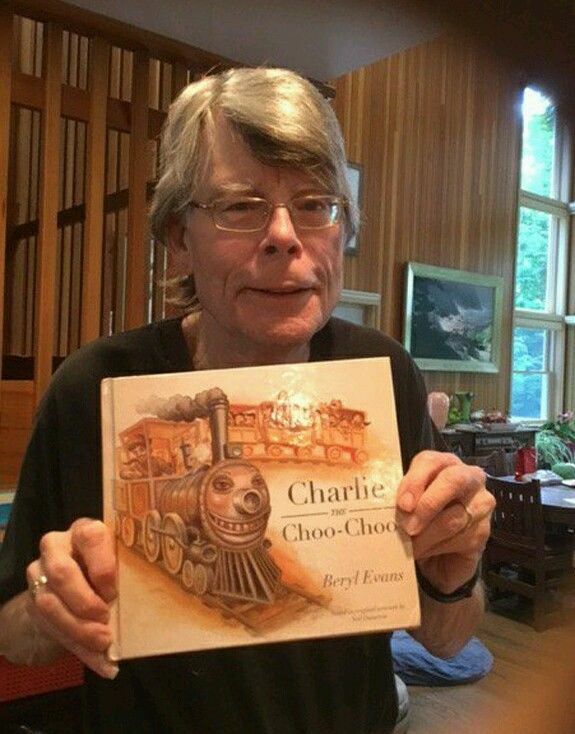 Fans of Stephen King's "The Dark Tower" series (the first film starring Idris Elba and Matthew McConaughy is due out next year) will instantly know about Charlie the Choo-Choo, who features in the series as a story-within-a-story, Written by King's fictional character Beryl Evans, this edition is signed by Beryl - or is it? Speculation is rife, but if it turns out to be signed by Stephen King this will turn out to be a remakable (and inexpensive) collectible first edition, the value of which could shoot up enormously. Only 1,000 copies printed in this limited edition state, now sold out at publisher..
​Synopsis : Engineer Bob has a secret: his train engine, C harlie the C hoo-C hoo, is alive...This future classic is a warming tale about friendship, loyalty and hard work. Fans of Stephen King's bestselling series will recognise C harlie, the C hoo-C hoo, adapted from a section of his novel The Dark Tower III: The Waste Lands. The piece of art created by Ned Dameron for book three is now the cover image for this picture book.